My favorite in the growbed, the cabbage. Looks like will have to wait for another 50 days for harvest. 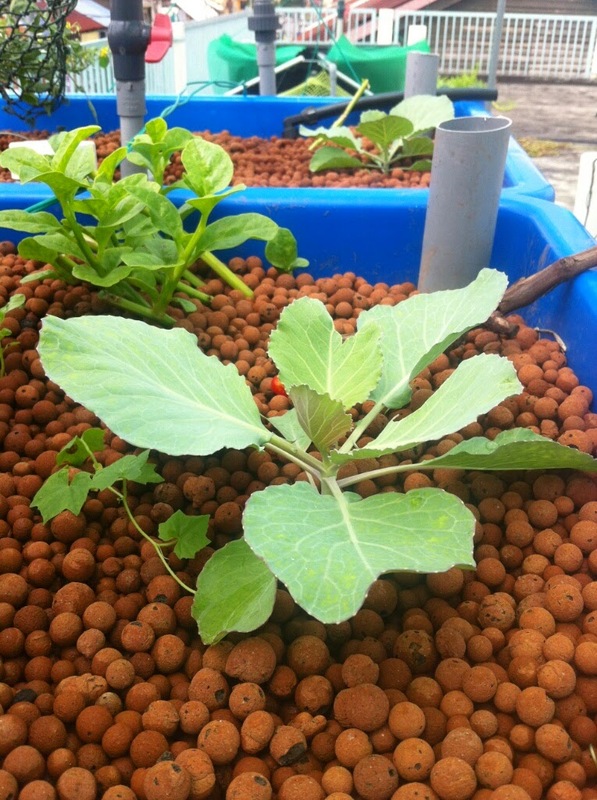 It is time for us to stop working on the aquaponics system for now (of course have to keep growing) but focus more on improving our infra especially on power supply/sources. We have now additional solar panels, higher capacity power inverter and charge controller to be in placed to make the system more flexible and efficient. Rain gutters, observed a slower growing rate for the setup. We have now 130 pots in the system and still in experimental stage. Maybe just need to wait for more bacteria to kick in...currently, we have amaranth greens, warer spinach, kai lan and spinach also not to forget the additional 'fish food'... For speeding up the growth and balance up the life cycle in the gutter, small fishes are added into the equation.